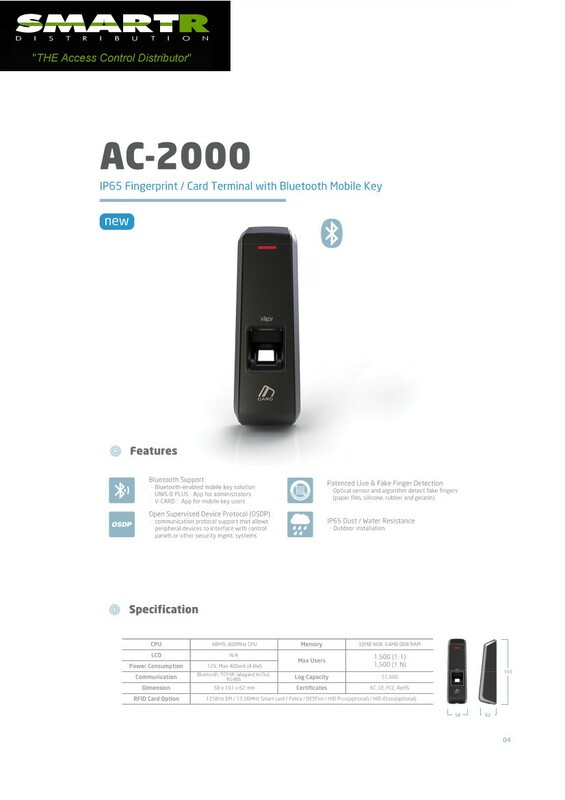 Fingerprint reader with built-in 13.56MHz Mifare Reader and Bluetooth virtual credential. Operates as standalone system managed by Bluetooth smartphone app (Android or IOS), Wiegand output for connection to third party system or as a networked TCP/IP Terminal. User Capacity 1500 Fingers & 1000 Cards/Fobs Live Finger Detection. IP65 for external installation.